Idyllic Samui Resort & Villas at Samrong Bay is a secluded, seafront beach resort, sharing the home base of some of Koh Samui's most exclusive hotels. 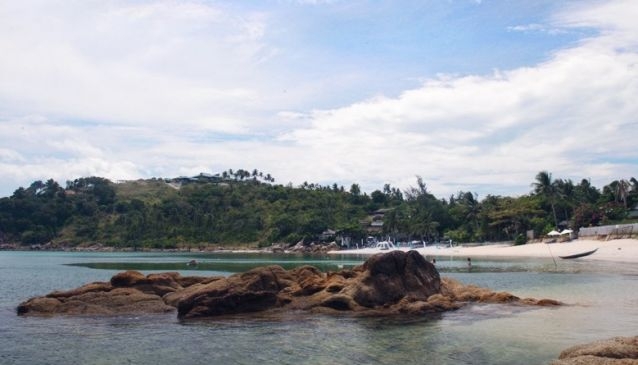 The resort is located right on the beach, with the clear blue sea of the Gulf of Thailand lapping the soft white sand. Samui Resort & Villas is a great choice for a tropical vacation in the comfort of a private villa home. The resort comprises of fifteen holiday villas with three bedrooms or more, each one with a private swimming pool and gardens. All the villas are built in Balinese style with a main house and a separate guesthouse(s) and at least 3 bathrooms. All villas have been furnished with style. The resort has direct access to the sand beach. The beach is shared with The Six Sense Sila Evason Hideaway and the Arayaburi.